There has been some nice progress on the pure c# library for the EV3 Lego Mindstorm Brick from Lego and the BrickPi3 from Dexter Industries. The BrickPi is great as it adds loads of extra processing power and more importantly memory for the EV3 kit using a Raspberry Pi. 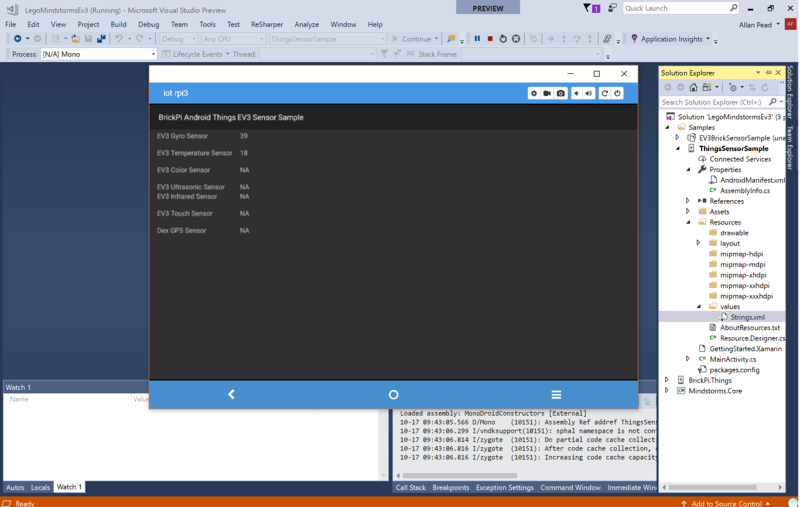 The library is for both Xamarin.IoT and Android Things. As soon as it’s ready I’ll post the source to GitHub. 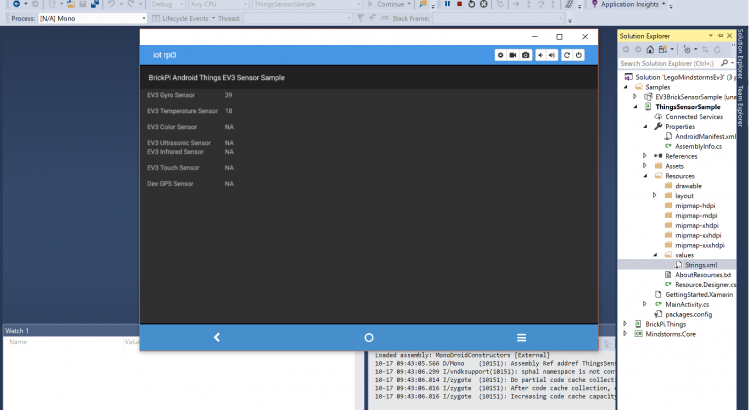 If there is interest, I can also spend some time and port the Android Things implementation to Java or Kotlin for Android Studio. The ultimate plan is to use this in a Lego based robot as a play project, but the experimentation will form basis of an actual larger artificial intelligence project. 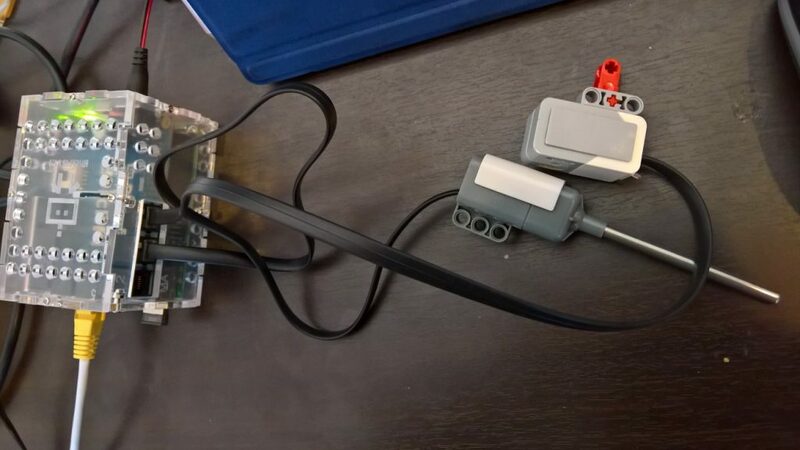 It will also be hooked up to Azure IoT for the telemetry.